Here is a taste of 2017! There’s something new (and free!) in the app that we thought you would want to know about. We have just released the 2017 Sampler Issue! This is the third annual sampler we have released and we think it is one of the best! Over the years we have evolved and forever improving so we can offer you the best product out there. Over the course of 2017 we have seen many new recipe testers joining the amazing testing team ensuring the recipes you are cooking for loved ones will succeed every time. We have also had new additions to our photography team. They have done a great job of bringing the food to life in their images. What is a “Sampler Issue”? The 2017 Sampler Issue gives you a sample of the magazine issues that we released in 2017. You can scroll through to see the cover images, contents and two FREE recipes from each magazine issue released last year. The sampler issues (yes, there are three of them now… 2015, 2016 AND 2017!) are set up like the magazine so you can have a first hand experience of the navigation, features and recipes on offer for mag readers. 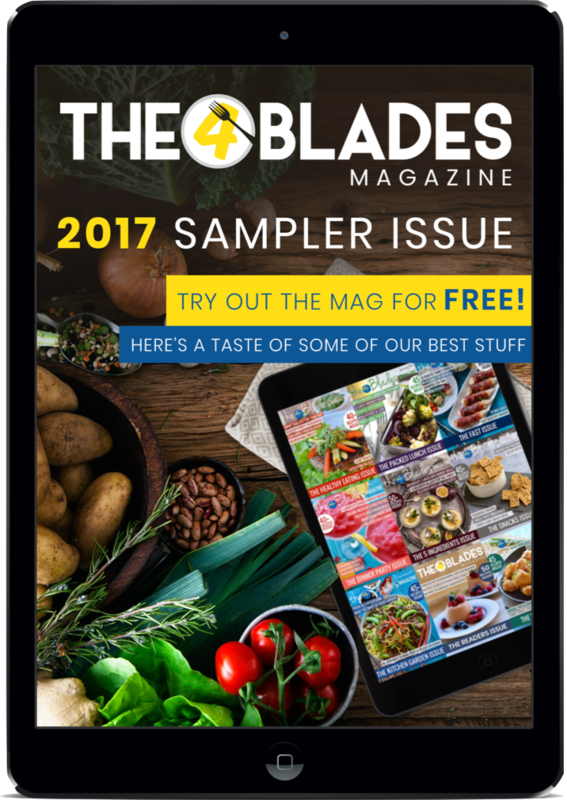 You can take the mag on a test drive to see if The 4 Blades Magazine is a good fit for you. you can download this issue to take the mag on a test drive, while getting access to 24 free recipes along the way! it’s a great way to scroll through what became available in 2017 and which issues you might like to add to your collection. If you are someone that finds it difficult to try new recipes in your mixer, why not commit to trying each of these recipes over the course of 2017. They have been tried and tested by The 4 Blades Magazine recipe testing team with rave reviews, so chances are good that you and your family will enjoy them as well. This issue is not available for individual purchase but is FREE to all.